Falmanac: Found History: Oil in Tucumcari? 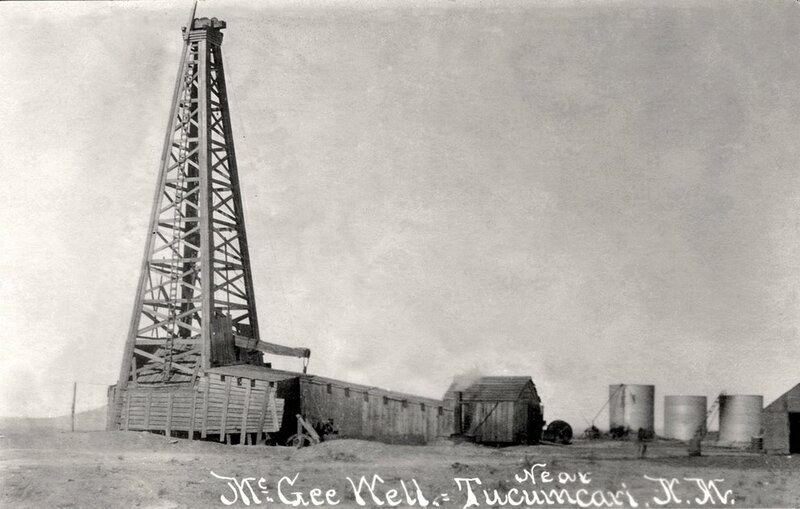 Found History: Oil in Tucumcari? Mary Lynn Moncus wrote in her "History of Quay County, New Mexico," that "the McGee Well created much excitement before it was abandoned." I wonder how many people lost money on that one. It made a certain amount of sense; after all, oil rich Texas was just down the road. The date? I'm guessing 1915, give or take a few years. This is the grimiest postcard I've ever seen.